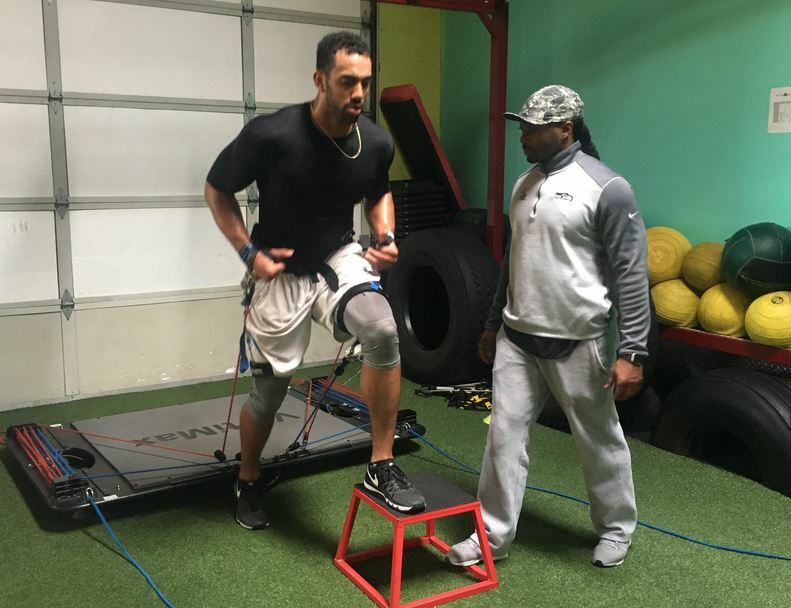 NFL Combine training are for athletes looking to greatly improve on their personal goals in the 40-yard dash, bench press, vertical jump, broad jump, 3 cone drill and the short shuttle run. This training consists of speed training, strength training, olympic power training, fast-twitch training, foot speed training and football skills training. This training will help you become bigger, faster and stronger to allow you to perform at a high level at your Combine evaluation/tests. Training will be catered to your personal needs and goals for NFL Combine training and NFL off-season training. Nutrition education is also available to make sure that the athlete is feeding their body the right nutrients and supplements needed to have their body perform at its best. Chiropractors, physical therapists and massage therapists are available upon request. Group training or One-on-One training available. Contact Coach John “JB” Barnes for further details, pricing and possible accommodations. Contact Coach John “JB” Barnes for further details, pricing and possible accommodations.